MTE Customers Care Donates $5K To S.A.V.E. 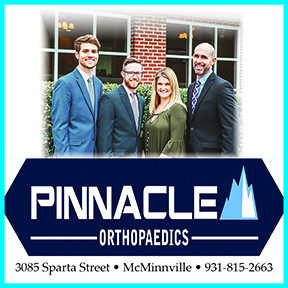 From left to right, Cannon County S.A.V.E. board member Tony Neal, treasurer Tracy Neal, board member Penny Daniels, president Wanda Parker, board member Lois Larimer and director Lisa Baird. 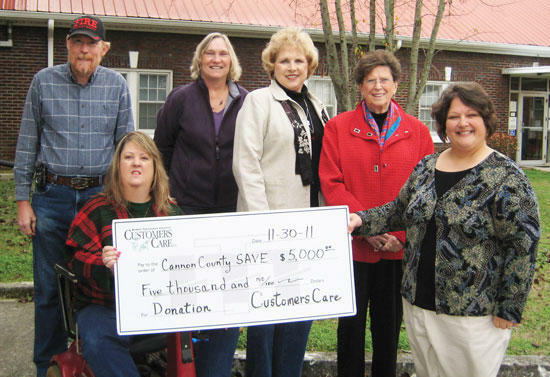 Middle Tennessee Electric Membership Corporation’s Customers Care has donated $5,000 of its Operation Round Up funds to Cannon County S.A.V.E. Cannon County S.A.V.E. is the only non-profit agency providing free and confidential services to victims of domestic violence and sexual violence in the Cannon County community. Operation Round Up began in 2003 and has distributed more than $5.3 million into MTEMC’s communities. The initiative “rounds up” members’ bills to the next highest dollar, with that extra change set aside for worthy causes. It is the responsibility of the Customers Care Board, which is composed of seven MTEMC members, to evaluate grant requests and send the money back to qualifying organizations. Incoming contributions are tracked by county so the Customers Care Board can do its best to ensure money contributed by members in a certain county goes to that county. Any balances are carried over each month. MTE Customers Care funds may not be used for political or expressly religious purposes, schools or school-related organizations.